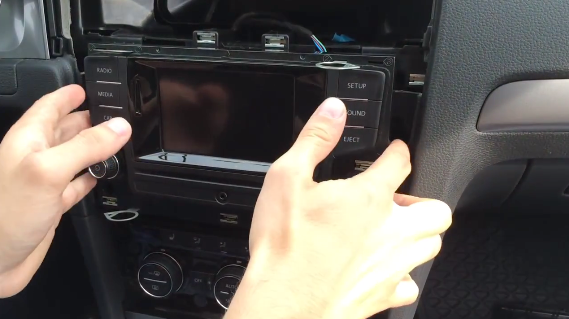 Look at this image, this is Seicane 2013 VW GOLF 7 Radio after installation. Do you think it’s awesome? Compare with original radio, the aftermarket radio has more useful functions. With this new aftermarket radio, you can enjoy your driving life and improve your driving quality. So, let’s start to install it! 1)Before your installation by removing the negative cable from the battery. 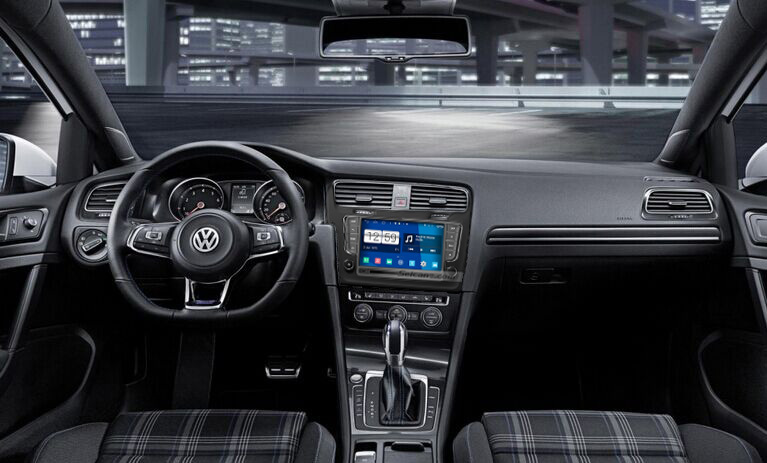 Then return to the inside of the VW. 2)Place the trim panel tool pry the bottom dash panel off and set it aside. 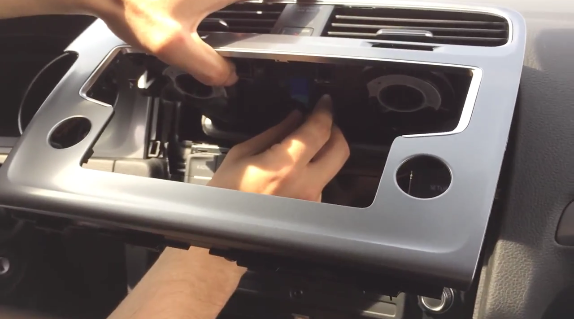 3)Place the trim panel tool removal’s blade between the main dash panel and the trim panel surrounding the stereo and climate vents. Pry the panel from the dashboard and set it aside. 4)Unplug the wiring between the vent panel and the air conditioner. 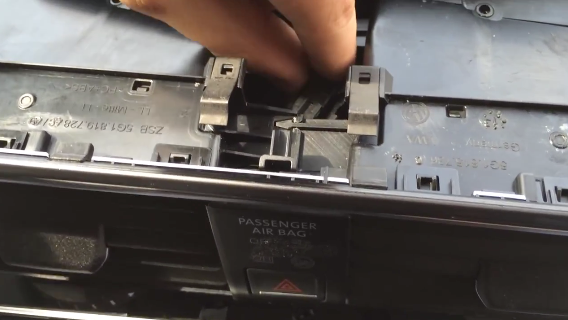 5)Unplug the electrical connection from the rear of the radio on the VW Golf 7. These are plug-style connectors so they should pull straight out. 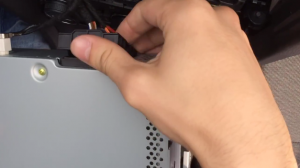 If you are having trouble, pinch the top and bottom of the connector and wiggle it back and forth while pulling out. 6)Use four radio unlock tool and unplug your factory radio. 7)Disconnect the wiring back of the radio. 8)Make antennas and cables connected step by step as installation instructions show,and you should be very careful when you are doing this for it will affect whole procedure. 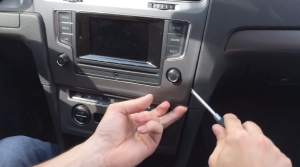 9)Connected the new radio to your VW GOLF 7, you should check whether your connections are correct, the new unit is in right position,and you’d better have a tidy for the cables. 10)If everything is OK, make trim panel back on your new unit. You can use the Quick Search Box on the Google search for roads, playing online games, watching videos, downloading online data, and checking emails by connecting to any WiFi hotspot in scope or 3G Internet. A lot of application can be downloaded in the Android Market, such as Skype, MSN, YouTube, twitter, e-books, Gmail etc. Your iPod/iPhone can be charged via the USB cable.You can listen to any music in your iPod or iPhone with the iPod function. You can also install or remove any apps on RAM or SD according to your preference. With anti-shock and the last position storage feature, you can watch a movie or video in motion. 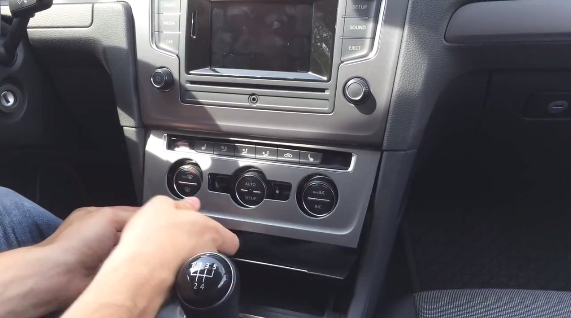 Your original car’s steering wheel control will still work after installation. Do you think it’s so easy? Hope you can have great fun with your new VW GOLF 7 Radio! Good luck to you.